One can hardly blame them for such a grandiose name. The West had never seen anything like World War 1 before. Between 1914 and 1918, approximately 17 million soldiers and civilians died while another 20 million lay seriously wounded. Yet even this was not in fact “the war to end all wars.” Just two decades later, most of the same countries waged war on much of the same ground. This time, however, the casualties were more than four times worse. With combined civilian and military death toll estimates ranging as high as 85 million, World War 2 remains the single deadliest cataclysm in human history. Between 1939 and 1945, the world endured not only its bloodiest and most far-reaching military campaigns, but also some of its deadliest famines, civilian exterminations, and epidemics. In Nazi concentration camps across Eastern Europe, those years saw the worst genocide ever on record. Yet, today, the devastation of any one of these facets of World War 2 — let alone all of them taken together — is so vast that it becomes unfathomable. Perhaps, however, the best way to attempt to drag World War 2’s 85 million deaths out of the realm of statistics and back into the realm of tragedy is not with words, but images. From the battlefields to the faces of the civilians who never set foot on one but whose lives were shattered all the same, the World War 2 photos above bring history’s greatest catastrophe to life. 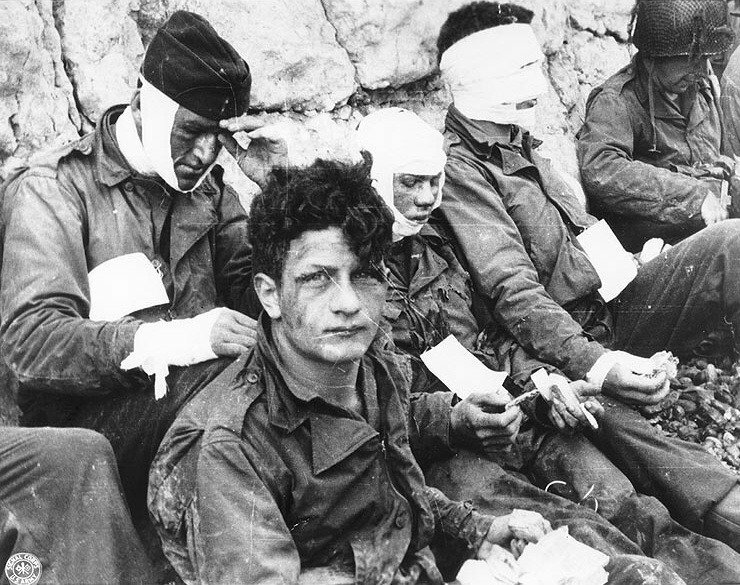 American soldiers, injured while storming Omaha Beach on D-Day, recover just after the landings in Normandy, France on June 6, 1944.